Cappuccio is enjoyed in Italy in the morning and only in the morning. Gates like these dot the countryside in the Valle d’itria. They remind me that doors everywhere are just waiting to be opened. Life-size saints on a Via Ostuni rooftop looking heavenward for divine inspiration. 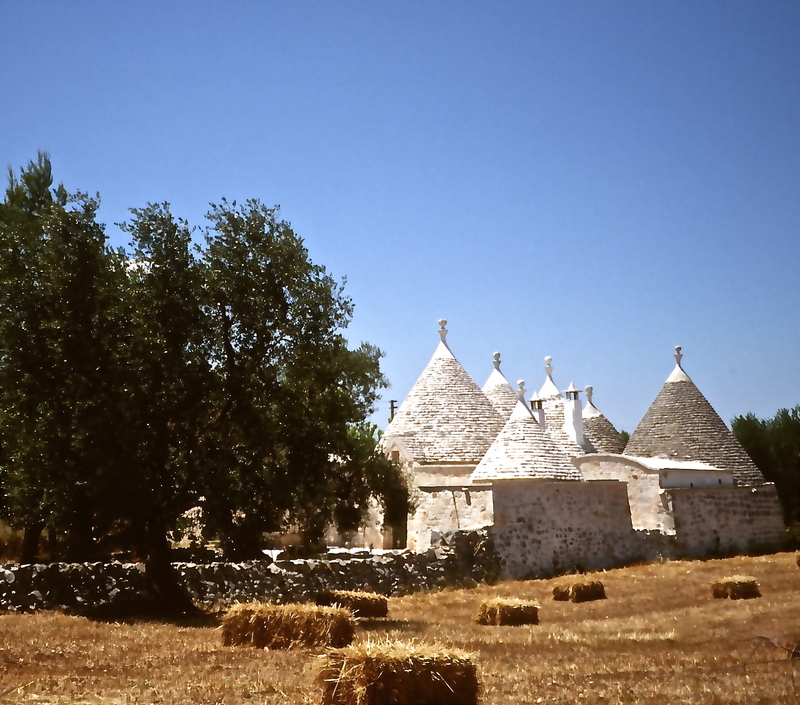 Trulli are country homes made of mortarless stone in the Pugliese countryside.